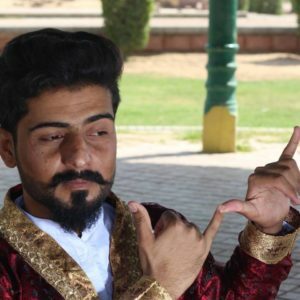 Ahmed Baloch, an artist and dancer by profession is a rebellious character who dared to challenge the rigidity of Baloch culture for a life of his own. He was born in Teertej area of Awaran which happens to be a war affected area in Balochistan. 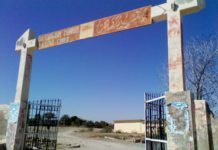 He earned his matriculation from Government Model High School Awaran in 2010 and intermediate from Government Inter College Awaran Balochistan in 2012. From childhood he was good at painting and dancing. Art was god gifted to him. 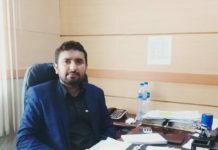 Most of the parents always want their children to please their wishes, but Ahmed Baloch was fortunate enough as his parents supported him and provided him liberty to pick any profession and life that he desired. The support from his parents gave him air to breath. 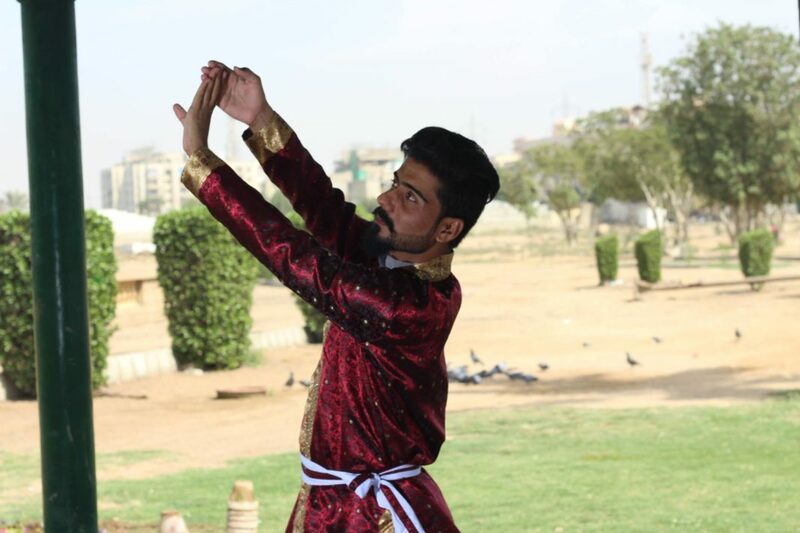 He started performing a unique dance style from the ordinary classical dance that existed in Baloch society. People observed and started taunting him for being a performer and dancer which is considered a disgrace for a Baloch. 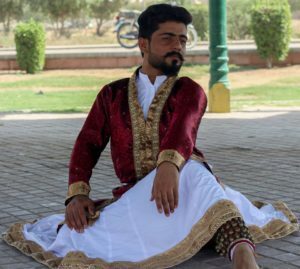 Though classical dance existed in Baloch society, but it has always been categorized as a dishonor and parents usually forbid their sons and daughters to perform such acts. A well-known Baloch singer, Noor Muhammad Nooral, even went on to claim that showing dance moves with one’s buttocks is a dishonor for Baloch. Ahmed Baloch never distinguished what he was capable of until he met Sakkim Sukan after a performance. 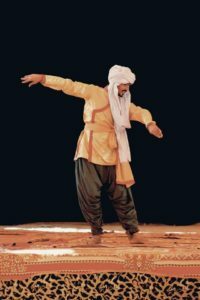 He was the man who told him what he performed was Khattak, famous classical dance performed in India and around the globe. Later on, he started watching online videos from various channels of youtube and refined his skills in Khattak. For Khattak, it is obligatory for a performer to wear “Ghungroos” as it is an essential part of the dance. But it made his journey and dream even harder. Ghungroo, which is considered a disgrace and something for courtesan, was never going to be accepted in Baloch society. Though academically he studied visual art, but his preference remained as a performing artist. In 2013 he performed for the first time on a stage in Quetta’s officer club and he proved himself. It was the very first performance that gave him courage to perform on stages. He secured 2nd position at the event and was awarded for his performance. He idealizes Indian dancer and choreographer Birju Maharaj and Pakistan’s Nighat Choudary, Naheed Siddiqui and Sheema Kirmani for Khattak. According to him, Ghungroo is merely an instrument for a classical dance. It doesn’t make a difference whether a courtesan wears it or an ordinary dancer like me wears it. It has nothing to do with honor and disgrace of a family, race or a Nation. He not only made progress in Khattak, but equally mastered himself in visual art. In mid-2013, he traveled to Sindh and took admission in CEAD, Jamshoro. Shortly he skilled himself accurately in artwork and exhibited his works in various occasions and platforms. He had exhibited his arts in many platforms including Al-Hamra, PNCA, and in Sindh Museum Hyderabad where a large number of his paintings were sold. 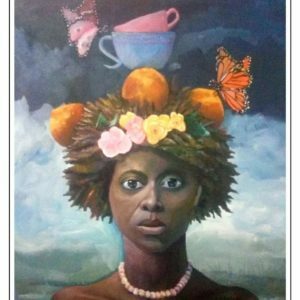 The subject of his painting is based on feminism and it reflects the life of housewives. When asked about the difference between visual and performing art, he explained both have the similar line of work but there exists difference among them. 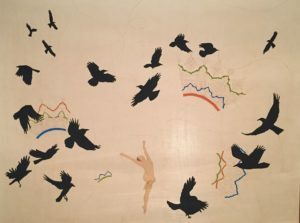 For performing art you need five minutes while a visual art can take up to dozens days. But both the department convey meaningful messages to the society. He was bestowed with a silver middle in 2016 after completing his bachelor for his excellent arts. 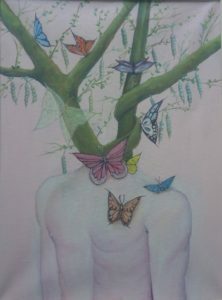 Having an endearment with “Ghungroo”, Ahmed uses it as a representation for “Freedom of Expression” in his paintings. Currently, he is enrolled in National College for Arts Lahore for a master’s degree in visual arts. According to him getting admitted in NCA was a dream that came true, but at the same time it was one the toughest time of his life. He found himself in grave financial crisis in the course of getting admission in NCA. Belonging to a poor family and background made it harder for him to get education. He exhibited his arts for money. Poverty also affected his art and work. 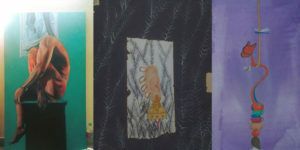 When he was in financial crisis, he began to think commercially and the art that he produced at the time were only meant for commercial benefits. It killed the creativity that an artist must possess. He believes that lack of art galleries and other artistic platform have left a huge impact on artists. From singers to songs writers, painters to dancers, all witness a misery life of poverty only because there is no professional livelihood for them. It is heartening to mention that there doesn’t exist a single platform and institution that helps the artist groom in Balochistan. Skilled and talented youth of Baloch are wasted. He admires the works of Hani Baloch, Zaman Baloch, Zakir Baloch, Akram Dost, Jamil Baloch and Saud Baloch among his parallel artists in Baloch Nation.